Here is the one of the up shots of Monday's meeting of the Alternative Welfare Working Group. The one that wants more welfare. The Greens are sticking with their effective use of children (saccharin images) to promote policy. Policy that will unfortunately work against children's best interests. This is a Green e-card designed to be sent to Paula Bennett. Below it I have used a different image and written some alternative (alternative to the alternative) text. Please feel free to e-mail this blog post to the Minister. Please reject the Welfare Working Group report. 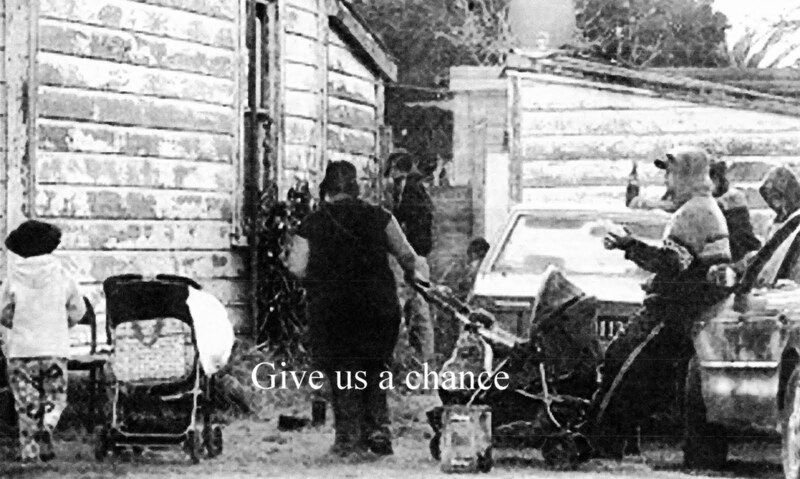 The report's recommendations are extreme and will hurt vulnerable New Zealand families. New Zealand kids deserve access to essentials and opportunities, especially in hard-times. Cutting benefits, work-testing parents, and targeting the disabled will leave many people and their children out on the cold. Please reject this report and give all our kids a chance. 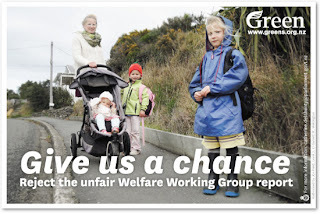 Please accept the Welfare Working Group Report. The report's recommendations are rational and will improve the lives of New Zealand families, especially in the long term. New Zealand children deserve access to essentials and opportunities. Most importantly, they deserve parents who will do everything in their power to support and care for them through work, and who will instil similar expectations in them. As benefits will not be cut where genuine attempts to find and accept work are made, and the small number unable to support themselves will not be targeted, children will not be out in the cold. Please accept this report and give all our kids a chance. ...except maybe in this country. According to data from the U.S. Labor Department released last November, both married and unmarried women with children report a higher rate of absences from work than those without children. In most Western countries illness-related absenteeism is higher among female workers than among male workers. Using the personnel dataset of a large Italian bank, we show that the probability of an absence due to illness increases for females, relative to males, approximately 28 days after a previous illness. This difference disappears for workers age 45 or older. We interpret this as evidence that the menstrual cycle raises female absenteeism. Absences with a 28-day cycle explain a significant fraction of the male-female absenteeism gap. To investigate the effect of absenteeism on earnings, we use a simple signaling model in which employers cannot directly observe workers' productivity, and therefore use observable characteristics – including absenteeism – to set wages. Since men are absent from work because of health and shirking reasons, while women face an additional exogenous source of health shocks due to menstruation, the signal extraction based on absenteeism is more informative about shirking for males than for females. Consistent with the predictions of the model, we find that the relationship between earnings and absenteeism is more negative for males than for females. Furthermore, this difference declines with seniority, as employers learn more about their workers' true productivity. Finally, we calculate the earnings cost for women associated with menstruation. We find that higher absenteeism induced by the 28-day cycle explains 11.8 percent of the earnings gender differential. Why won't New Zealanders grow up and engage in rational debate instead of indulging emotion? What is the 'official' unemployment rate? On the front page of Statistics NZ the unemployment is given as 6.6 percent for the March quarter. That is the figure provided by the March quarter HLFS. Yet when using Table Builder the rate appears as 7 percent. And the sets of figures that produce the rate vary yet my understanding is the source for the data is the same. Now this all may seem pedantic but when official unemployment rates are released a song and dance is made about them. They are taken as a significant indicator of how the economy is faring and add to or detract from business confidence. NZ hasn't seen an unemployment rate of 7 percent or over this decade. Sorry, this century (according to TableBuilder). Was it there in March? I will query Statistics NZ. There is probably an explanation but I want to know what it is. Update: Very quick response from Statistics NZ. Inside two hours. Big tick. Both figures are from the HLFS. statistics are averages for the three-month period. estimates for any of the previously published quarters may change slightly. What effect the earthquakes on beneficiary numbers? With reports of increased domestic violence, stress, workplace bullying, and job losses I thought I would have a quick look at Canterbury beneficiary stats. The national increase across all benefits was 2 percent. In Christchurch it was 3.8 percent. On the face of it, surprisingly small. But intriguingly, DPB numbers, against the national trend, have dropped, but only very slightly. 15 to be exact. I suspect this is because single parent families have packed up and left. Beneficiaries have, in some respects, more economic mobility than others. Their registration would shift to whichever region they moved to. There have been some significant DPB rises in places like Invercargill and Timaru. So if many leave (transfer registration) but quite a lot go on (newly register in Christchurch) we could see either a small net loss or gain. 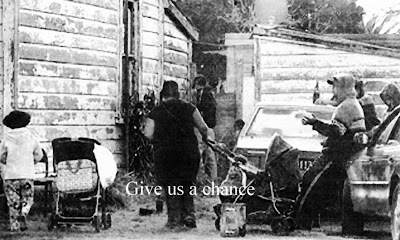 Consequently the earthquake may have contributed significantly to more people on benefits but it isn't immediately obvious by viewing the Canterbury statistics. The number of those coming off the DPB since part-time work requirements were introduced had increased by 22 per cent over the past year - to more than 3,500 people. Part-time worktesting when the youngest child is six was introduced in September 2010. More people going on the DPB than leaving. I am a big fan of aspiring people seeking sponsorship through the private sector. Rather than via SPARC or Creative NZ or other taxpayer-funded bonanzas. It only takes a moment to register your vote. A lot of special needs young adults have been stuffed about by poor government policy over recent times. Give this guy a break. New Zealand has the second highest teenage birth rate among the world's developed countries. In 2009 there were 4,670 births to New Zealand teenagers. In Manukau City around 630 teenagers give birth each year. We are second only to the US where their rate is also boosted by very high minority teenage birth rates. and three times more likely to be dependent on a benefit. Well this is refreshing. An acknowledgement that having babies very young is neither good for the mother nor the children. But what would I put this unusual frankness down to? Pleading on behalf of the Trust? They will always need more funding. But the pleading highlights the way government handles the problem. Pour in more and more corrective resources. Instead of saying, hang on a minute. This is avoidable. Why are the statistics so high? What has the welfare incentive got to do with it? Health analysts have no problem grasping the concept of prevention. It is cheaper (and better for the patient) than treating disease. In the social arena however the attitude seems to prevail that the high teenage birth rate is fait accompli, a cultural tradition even. 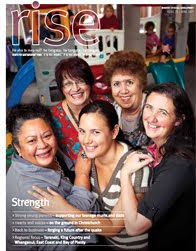 And as I re-read the article it strikes me, looking at the cover and the smiling faces, that this is published by the MSD as a good news story. Look at us. Look how well we are doing. But it isn't. It's a bad news story about a government-created social disaster which provides work for worthies. That's all.